IN ORDER TO HELP OUR COMMUNITY GO GREEN, ANY STUDENT WHO USES JUST ONLINE READING LOGS FOR THEIR 100 BOOKS, WILL GET 5 BOOKS ADDED TO THEIR GOAL. MEANING, YOU WILL ONLY NEED TO READ 95 BOOKS TO MET THE CHALLENGE. LET'S READ, AND GO GREEN! CLICK ON "LET'S READ" ABOVE TO GO TO ONLINE READING LOG. 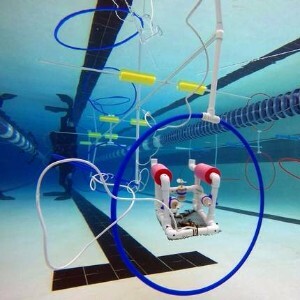 IHS Library is now Sponsoring the IHS Sea Perch Underwater Robotics Club. Click on picture to view some pictures from out robotics club. Looking for a good book? Click the link above to search the IHS Library Collection! OVERDRIVE: Enjoy thousands of popular and best-selling eBooks and audio books free from your school library. Available to students & parents, faculty & staff on any device. For desktops, click the icon above. For devices, download the free OverDrive Media Console APP from iTunes or Google Play. Stop by the library or email Ms. Villaneda, your District Librarian, for help with login information or other assistance. Newspapers and Magazines. Choose one of the resources above to access magazine & newspaper articles, academic journal articles, images & videos. Social Studies Primary Sources. Adam Matthew Digital Resources provide maps, journals, artwork, images, pamphlets, leaflets, letters. What is a Primary Source? Video. Encyclopedias and magazine articles. Primary sources. Images, videos, lesson plans. Use Artemis to search across all Gale Literature databases. Biographical information, overviews, full-text literary criticism and reviews on more than 130,000 writers in all disciplines, from all time periods and from around the world. Essays on the lives and works of authors from around the world from all time periods. Entries include concise essays, citations, and biographical information that places the author and their works in personal and historical context. In-depth critical introductions to the lives and works of major writers of the world within the context of the time period in which they lived. Non-fiction eBooks. 5 different collections to download or read online. Reference Sources for Research. Encyclopedias and specialized reference sources for multidisciplinary research. Social Studies/Science Content. Global Reference on the Environment, Energy, and Natural Resources. Physical, social, and economic aspects of environmental issues. Topic, organization, and country portals form research centers around issues covering energy systems, health care, agriculture, climate change, population, and economic development. Health and Science Content. Magazines, journals, newspapers, definitions, directories, videos, & reference information on: Medicine, Nutrition, Diseases, Public Health, etc. Included are links to diet, cancer, health assessment sites & government databases. Over 700 videos from Healthology, Inc.'s consumer health video library. Information and opinions on today's hottest social issues.Continuously updated viewpoints, topic overviews, full-text magazines, academic journals, news, primary source documents, statistics, images, videos, audio and links to vetted websites organized into a user-friendly portal experience. Newspaper and magazine articles, academic journal articles, images and videos. A Broad Range of Topics on People, Places, and Events. Full-text magazines, academic journals, news articles, primary source documents, images, videos, audio files and links as well as vetted websites organized into a user-friendly portal experience. Premier reference sources in the field of education. The database includes content in key subject areas including administration, bilingual education, child development and psychology, funding, health education, technology, and testing. The majority of the full-text titles included are also found in the ERIC database. Meet-the-Author, movies, book readings, lesson plans, book lists, reading lists, sharing tools. Learn letters, words, numbers. sounds, time, geography, and more! Magazine, newspaper and reference content for information on current events, the arts, science, health, people, government, history, sports and more.